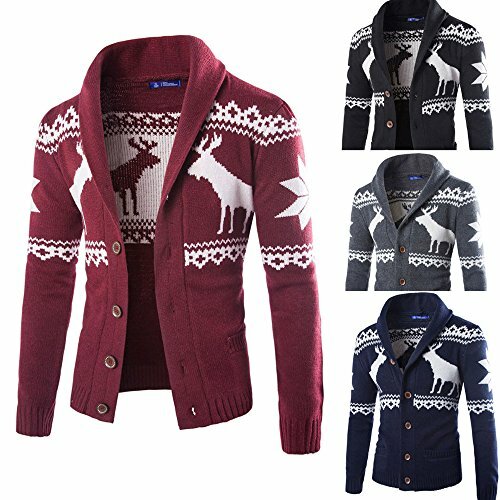 PASATO Classic Men's Winter Christmas Sweater Cardigan Xmas Knitwear Coat Jacket SweatshirtClearance Sale(Dark Gray, M=US:S) by PASATO at Sherlock Coat. Hurry! Limited time offer. Offer valid only while supplies last. ☀ It is made of high quality materials,durable enought for your daily wearing.Stylish and fashion design make you more attractive.Perfect Match with your favorite shorts,leggings, black slacks, denim jeans, etc.Great for Daily,Casual,I am sure you will like it! ☀ Stylish design, high quality materials, affordable price. ☀ Everyday wear, bar party, you will be the focus, as a gift to friends is also a good choice. 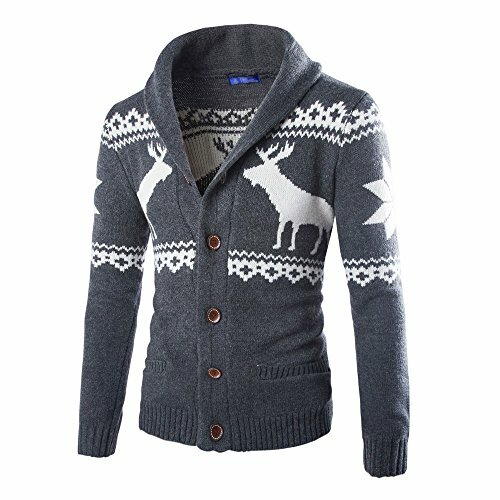 ☀ Men's outerwear, long coat, jacket, jacket, slim jacket, winter jacket, men's jacket, fashion jacket, short jacket, loose jacket, motorcycle jacket, solid jacket, printed jacket, camouflage jacket, stand collar, round neck jacket, V - jacket, men's sweater, solid color sweater, patterned sweater, white sweater, black sweater, turtleneck sweater, round neck sweater, XL sweater, V-neck sweater, embroidered sweater, sweater, button cardigan, zipper cardigan, couple sweater. 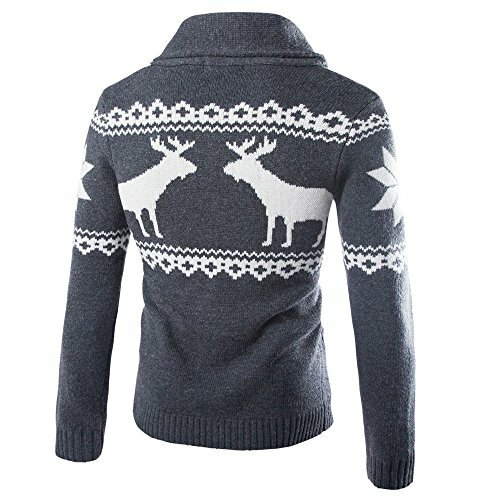 ☀ Men's sweater, baseball shirt, winter plus velvet sweater, warm sweater, comfortable sweater, cotton sweater, sports sweater, casual sweater, solid color sweater, printed sweater, red sweater, men's shirt, fashion shirt, printed shirt, solid color shirt, couple Tops, warm tops, plus velvet tops. Embroidered tops, round neck tops, V-neck tops, men's shirts, formal shirts, thick shirts, wild shirts, solid shirts, printed shirts.